At HeatTek, our industrial oven and furnace replacement parts and components service is dedicated to providing quality customer service and a quick turn around time, to ensure that you have the parts you need for your equipment to run with as little downtime as possible. 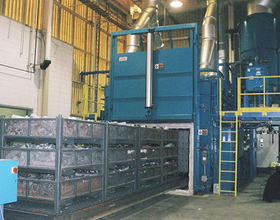 With production demands increasing everyday, HeatTek, Inc. knows how important it is that your equipment runs at full production with very little down time. 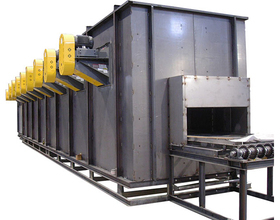 We can provide you with theindustrial furnace and thermal systems components that you need for any system manufactured by HeatTek, Inc. or any other industrial equipment manufacturer. See Our Aftermarket - Spare Parts and Service Brochure Here. Our spare parts department has many years of experience and a vast knowledge of your industry; this will allow us to provide the exact parts that you require. We offer parts for all of your electrical components, fans, air kits, burners, drives, motors and conveyors just to name a few. For pricing please contact Roger Winker at the numbers listed below. To increase our level of service, we would like to offer you the opportunity to participate in our stocking program. This will ensure that all of your critical parts will always be in stock at our facility and will ship within 24 hours of your request. For more information on the stocking program please contact us at the phone number listed below. 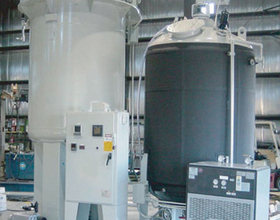 We offer spare parts for resin impregnation equipment to get your machine in production. HeatTek, Inc. offers the most commonly used high quality replacement parts and components for your industrial oven. 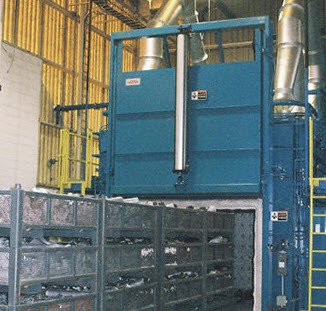 HeatTek, Inc. understands that a quick, reliable supply of quality furnace components and replacement parts is critical to minimizing production downtime and keeping your production line in operation. 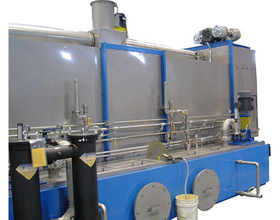 At HeatTek, Inc., we understand your need to quickly repair your industrial washers and dip tanks to minimize costly production downtime.